Should You Unlock Your Phone? One of the most bizarre and tortuous plots in U. S. technological history came to a close on February 11, 2015. All U. S. wireless carriers are now required to fulfill customer requests to unlock mobile devices that were purchased from them, at no charge and within two business days of receiving a valid request. Thus ends a struggle between consumers and carriers that traces its roots back to 1998. The Digital Millennium Copyright Act (DMCA) of 1998 changed many aspects of copyright law to reflect technological innovations and the new copyright issues they create. Two aspects of the DMCA are relevant to our phone-unlocking story. First, the DMCA made it a federal crime, punishable by up to five years in prison, to “circumvent” any security scheme that a rights holder implemented on its products to protect them against unauthorized use. Second, the DMCA charged the Copyright Office, an arm of the Library of Congress, with reviewing how the DMCA was working every three years. In 2005, Motorola threatened to sue a college kid named Sina Khanifar for circumventing the software lock on the company’s phones and selling software that allowed consumers to unlock their Motorola phones. Jennifer Granick, founder of Stanford’s Cyberlaw Clinic, championed Kanifar pro bono, helping him craft legal responses that eventually prompted Motorola’s legal department to back down. But Granick wasn’t satisfied with a one-client victory; she lobbied the Copyright Office for a DMCA exemption that would allow all consumers to unlock the phones (or tablets, or any device locked to one carrier). That exemption was granted in November, 2006, and renewed in 2009. But the unlocking exemption was not renewed in 2012, making unlocking your device without your carrier’s permission a potential federal crime once again. The ensuing outrage spurred Congress to pass the Unlocking Consumer Choice And Wireless Competition Act, which President Obama signed into law in January, 2013. From that time on, it has been perfectly legal to unlock your mobile device without anyone’s permission. But carriers were not required to unlock devices for customers, and third-party unlocking software isn’t always free, or even cheap. The FCC “worked with” the carriers through their industry association, the CTIA, to develop a framework of conditions under which a carrier would unlock a phone for a customer or former customer. Chief among the carriers’ requirements is that a customer must have fulfilled all of his contractual obligations before the carrier must unlock his phone. Don't confuse your SIM (mobile network) card with your Micro SD (file storage) card. On most Android phones, peel off the back cover to find the SIM card. On iPhones, the SIM card slot is on the right edge. Push a paperclip in the small hole to eject the tray containing the SIM card. For customers on two-year contracts that means a) your contract term has ended and you’ve paid all your bills, or b) you have paid the early-termination fee required to get out of your contract early. If you have a “no (service) contract” deal in which you are obliged to make installment payments on the phone, you have to pay the remaining balance due for the phone before the carrier will unlock it. Prepaid customers can get their phones unlocked after they have spent a certain amount of money for minutes, messages, and/or data. It’s important to note that “unlocked” is not the same as “inter-operable.” An unlocked device is no longer locked in to just one carrier, but that doesn't mean it's compatible with every (or any) other carrier. For example, some phones on Verizon and Sprint use CDMA technology, and will not work on the GSM networks operated by AT&T, T-Mobile and pretty much every other mobile provider on the planet. How do you know what type of phone yours is? If your phone has a removable SIM card it's a GSM phone, and can be unlocked. But sadly, there's no guarantee your device will work on another carrier. It boils down to the specific phone you have and which carrier you want to use. As an example, I've read that no unlocked Sprint phones will work on the AT&T network. So it's best to check with the company first. One good reason to unlock your phone is if you plan to sell it. You'll have a bigger pool of potential buyers if your phone isn't locked to one specific mobile provider. This new law should make more unlocked devices of all kinds available on the secondary market, lowering their costs and the barriers to switching carriers. The carriers will lose some customers but gain others. The only sure losers are the device manufacturers, because consumers will not have to buy as many new devices. Most recent comments on "Get Your Phone Unlocked For Free"
My rule is to buy an unlocked preowned phone. I get to choose the noncontract service I want. I just sent an unlocked older phone to my son, who needed one, and put it on the Cricket network, which uses AT&T. Works fine. I wouldn't do it any other way. I live in Europe and only buy unlocked phones so I can travel and change out SIM cards. The phone I have now, I was told was unlocked and I have been able to change SIM cards around Europe, but when I went to South America, it would not accept the SIM card. It is an old Samsung Galaxy I9000, so it may not be compatible with the different mobile configurations. When I return to Europe, it is being replaced. I have a Samsung Galaxy Note II that is unlocked; at least I think it is. I have changed carriers from T-Mobile to Consumer Cellular. But I still get the T-Mobile splash screen and audio when I power the phone on or off. There are also a couple of other T-Mobile items buried in the "settings", is there any way to remove all references to the original carrier? The predominant motivation for the development of the European ETSI GSM Standard in the 1980s and subsequently of the 3GPP Standards (WCDMA, LTE, LTE-Advanced) was to facilitate ROAMING and INTEROPERABILITY. These two features implied competition among manufacturers and among service providers. All these standards are available for free and hence anyone can design and manufacture devices that comply with the standards. The idea of locking mobile phones by American service providers was indeed very bizarre, particularly when it was implemented and enforced by law in a country that allegedly championed competition. It is nice that the U.S. has finally joined the technologically civilised world on 11.02.15. Yet, it is strange that you still have to go through a “procedure” to have your device unlocked. This is kind of off topic, but are there any smartphones that can be unlocked and used with tracfone? I have an LG420G with over 5800 minutes to use up and would like to be able to have other options like the internet. My LG smartphone cost $40 at Best Buy. In December it was on sale for $20. Do not overpay for a used phone. Boost network markets it. Is there a way to unlock Nokia smartphone that I purchased thru Amazon? 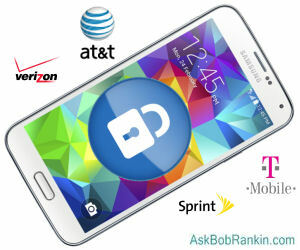 Under the new regulation, will the carrier like T-Mobile has to provide unlocking service to all phone as long as I am using their service? Have you read of a fake awdcleaner website? Just received an email from how to geeks about scammers using a fake awdcleaner file as ransomware. Since you recommend using it and I would too, I thought everyone should be alerted. Thanks for your time and your website. AT&T still requier for you to insert an other sim card in order to unlock your phone in my case I do not know anyone with t-mobile phones so my question is,what am I going to do to unlock my phone? EDITOR'S NOTE: maybe do it at a t-mobile store? Cincinnati Bell claims they do not have the unlock code for my phones. I have an HTC Sensation and a Blackberry 8900. Has any of you used an on-line "pay for the unlock code" service? If so, which one and was it easy? Thanks! I am not going to unlock my current phone, but it's nice to know I can get phones and have them unlocked. I have an unlimited data plan and do not plan on giving it up any time soon, if ever. So like Linda, I also buy pre-owned phones. As long as I stay two steps behind cutting edge, they're reasonably priced. Knowing that I can buy a phone and get it unlocked does open up the pool of replacements. I would love to see links as far as good pages online to unlock phones yourself. If anyone is looking for a new phone company, I found these guys, I do believe thanks to you, Bob. Ting will be adding GSM phones to their line up. So, you can now use CDMA and GSM in about a week. Consumer Reports just gave them a great review. For me, three people, the bill is about 32 dollars a month, total. Amazing customer service, too, btw. I would love to see you post the answers to the above commenters questions.